Our front door had been bare since I took down our Christmas wreath. 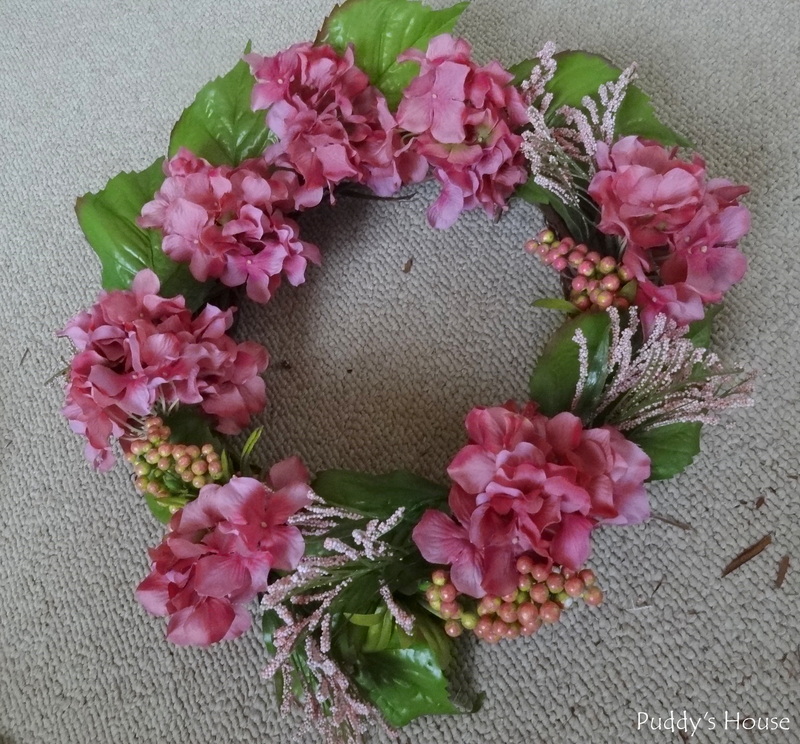 I had been searching for something wintery and never found what I wanted, so I waited long enough to just move on to a Spring wreath. 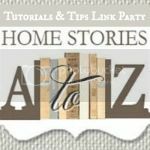 I didn’t have any spring flowers in my supplies, and I actually considered just buying a wreath, but when I looked at the store they were really pricey and just seemed sparse. I like a full wreath. 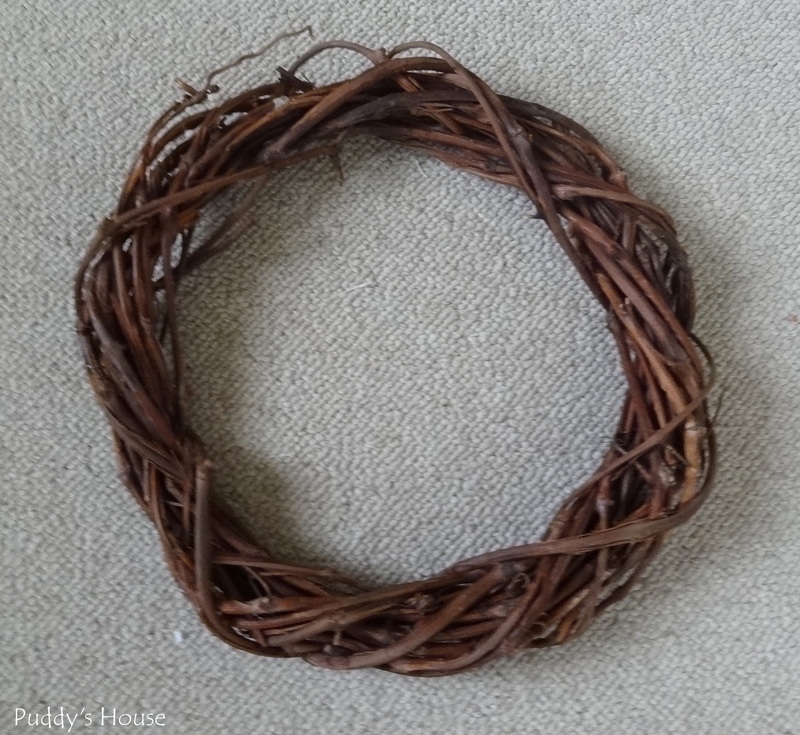 I knew I had a bare grapevine wreath in my supplies, either from Goodwill or a yardsale. It seemed like it might be a little small, I think it is the 12″ size, but I decided to give it a try. I went to Michael’s and the spring flowers were on sale 50% off. 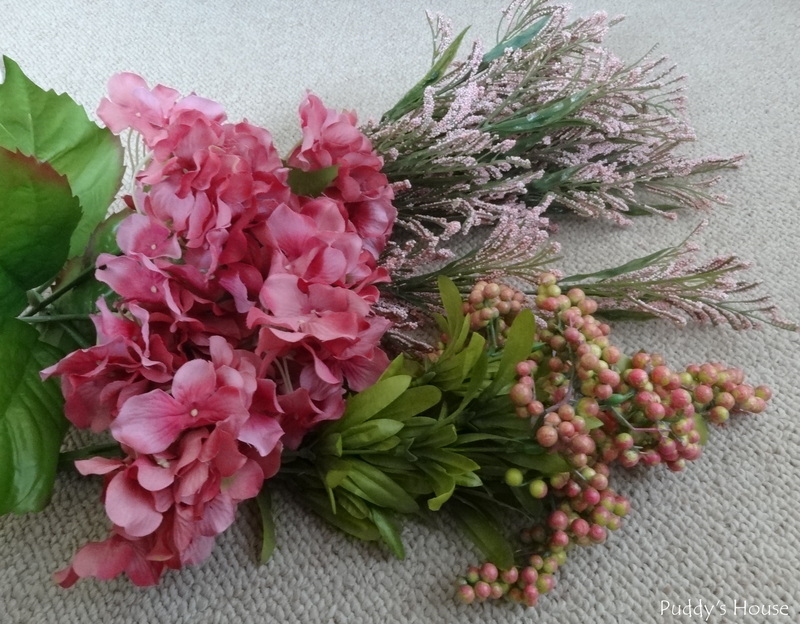 I bought 3 bunches – Hydrangeas, berries, and then what they label as bush grass with mini flower spray. I spent $17.99 on all 3. Not necessarily cheap, at least from my perspective, but still better than the cost of the wreaths I saw and didn’t like. I used my wire cutters to separate each individual flower, spray or berry spray. 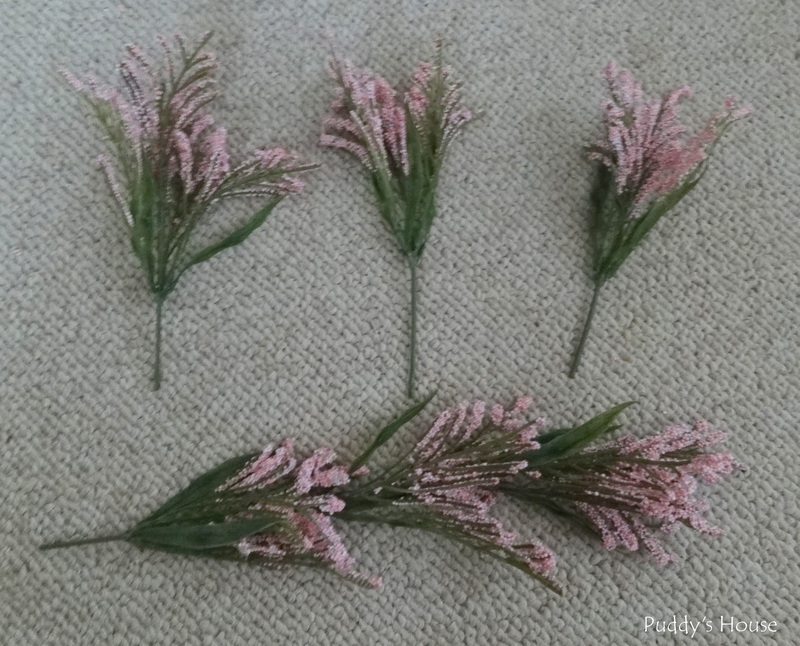 For each stem of the bush flower sprays, I separated into 3 little stems so that I would have more options for filling my wreath. 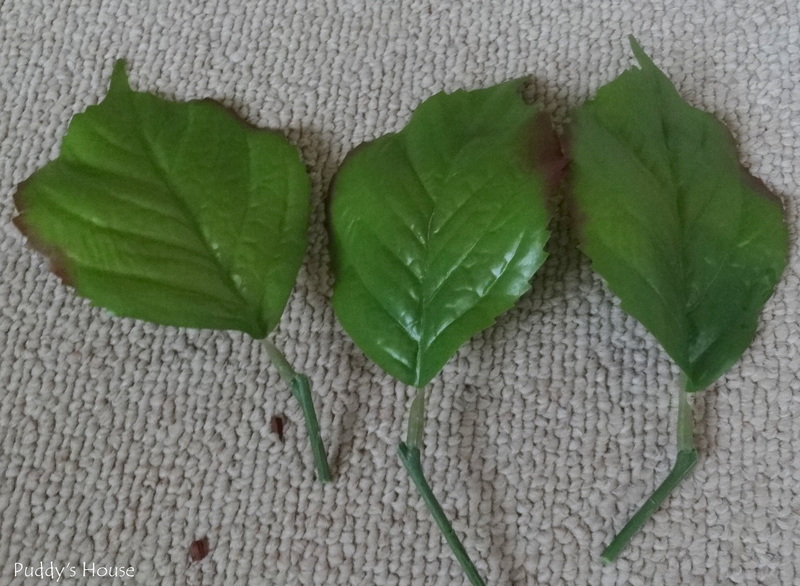 I ended up separating all the leaves from the hydrangea stems too. I hadn’t used leaves in wreaths I created in the past, but I felt like this one needed it. I started with the hydrangeas as my base and spread them around the wreath, just inserting the stems in between the grapevines. I didn’t use anything else to hold them in. This is when I realized I needed the leaves – it looked bare without them in between the hydrangeas. Then, I started adding in the flower sprays. And, then I just started alternating between adding the berries and the flower stems. My process is not an exact science, it is just stuff it in and if it doesn’t look right, pull it out and put it in another spot. 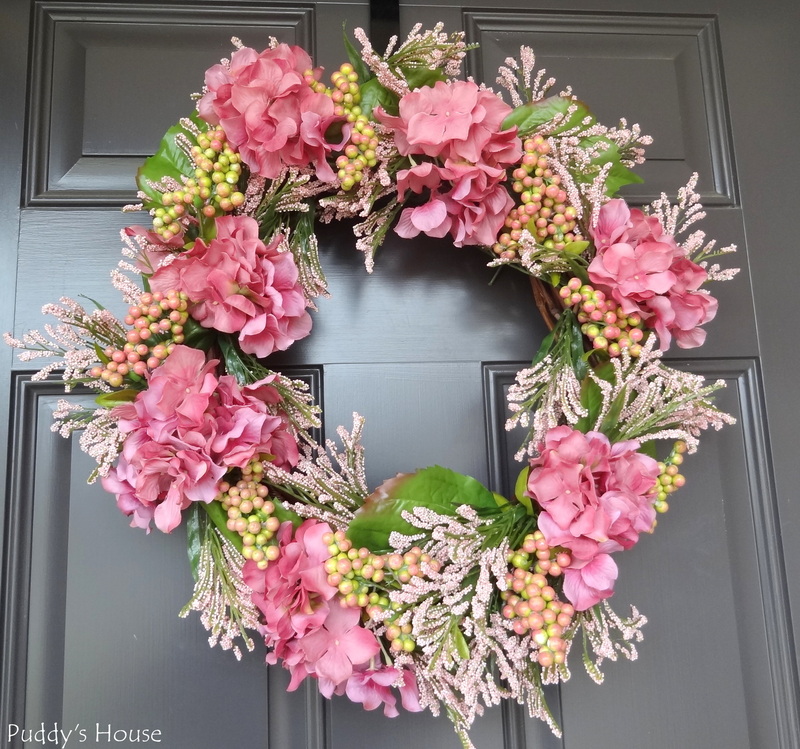 After a bit of rearranging and about an hour from beginning to end, I had a new wreath for our front door, just in time to welcome Spring. Do you hang something on your front door year-round? 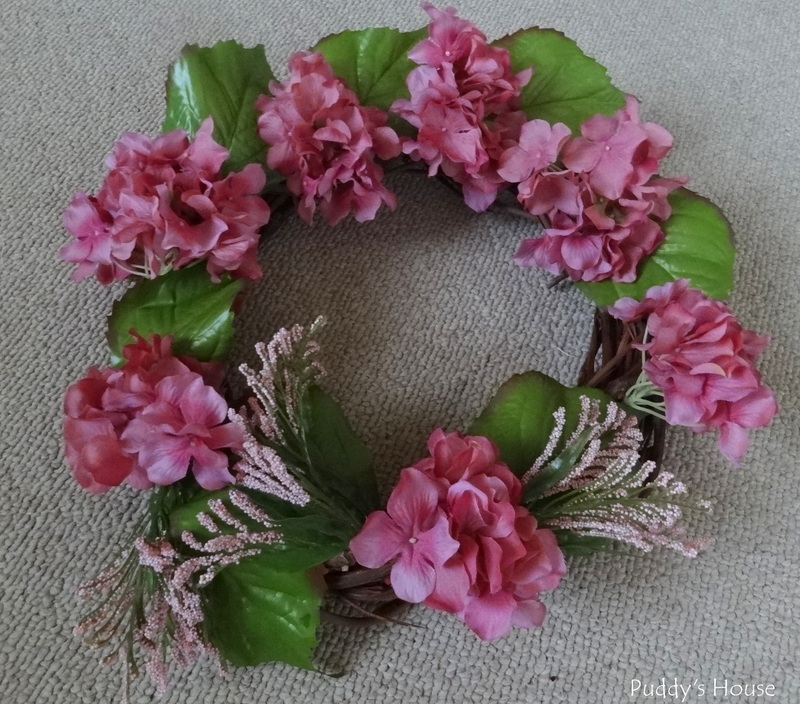 Any one else make a new Spring Wreath? 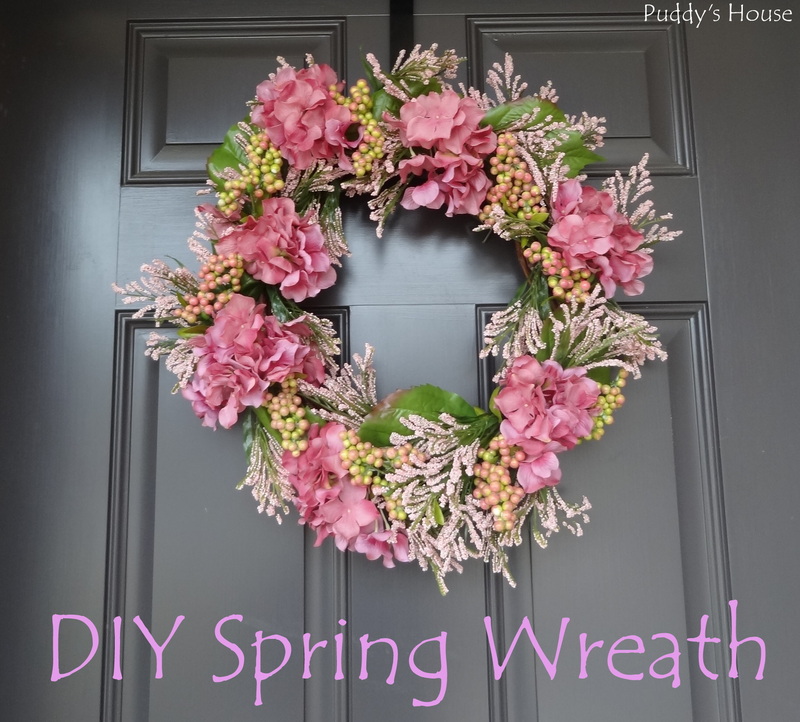 You did a great job on your spring wreath. Love your picture with your little white dog. We have a little white dog too, her name is Sissy, she is a Maltese and rules our house. Thanks so much Sally! Gotta love the little white dogs. Puddy is our little Bichon…he rules the house a bit too! !